The Multi-Talented Glen Burtnik Talks Songwriting, Styx, Beatlemania, Meeting Ben Orr and Jamming With The Boss! ASBURY PARK, NEW JERSEY – Glen Burtnik is an artist wielding several brushes; singer, songwriter, collaborator, bassist, solo artist, and even even Broadway showman, all adding up to a unique career in music spanning 40-plus years. As his website bio suggests, Glen's parents said that from the outset he had an emotional reaction to music, even before he could talk. “Although I wouldn’t necessarily say I come from a musical family, exactly, but music and film was pretty important around the house as my Dad had very diverse musical tastes,” Glen Burtnik said in an exclusive, Standing Room Only interview. That’s certainly a lot of colors in which to create your own musical pallet. Growing up in New Brunswick, New Jersey as the youngest of three sons, Glen was “forced” to sing vocal harmonies with his brothers at an early age and by junior high school had aspirations of being an artist, as his interests ranged from music, to art and film. Then, it dawned on Glen that he was actually writing songs in his head and realized that music was his true calling. Burtnik’s first-ever gig was a “be-in” at New Brunswick’s Johnson Park, at 15, he performed at the New Jersey Teen Arts Festival at the N.J. State Museum Auditorium ("I was certain that I was the next Bob Dylan") and after high school, wrote and performed a rock opera called The Walls Of Walden with his band, Albatross. Glen’s first big break, however, came when he answered a classified ad in the Village Voice seeking Beatle-sounding look-a-likes for the upcoming Broadway show Beatlemania. He got a part in the West coast cast of the show, performing as Paul McCartney. “I played in a number of situations prior, but in 1978, I got the gig portraying Paul McCartney in Beatlemania,” Glen told SRO. This is also where Burtnik forged a life-long friendship with fellow rocker Marshall Crenshaw (Top 40 hit “Someday Someway,” 1982), who landed the part of John Lennon in the same West coast production. In fact, the two would record a single together (“I Hate Disco Music”) and to this day, still work together whenever time allows. While still performing as part of the Beatlemania production, Glen responded to another Village Voice ad and was hand-picked by fusion keyboardist Jan Hammer to be the singer/bassist in his band dubbed Hammer. They recorded 1979’s self-titled Hammer and toured to support the record. Through his relationship with Jan, Glen also formed a friendship with Santana/Journey guitarist Neal Schon. Together the trio wrote the song “No More Lies” which appeared on the 1982 Schon & Hammer album Here To Stay and received both national airplay and video rotation on MTV. Also during this time, another Beatlemania cast member got a record deal for his band, Helmet Boy, and Burtnik briefly joined the band for the recording of the album. After returning to New Jersey, Glen started playing within the local Asbury Park music scene, including a very talented band called Cats on a Hot Smooth Roof, which also featured Fran Smith of The Hooters, Bobby Bandiera of The Asbury Jukes and Ray Anderson of Blue Van Gogh. Cats on a Hot Smooth Roof became the “house band” for the famed Stone Pony club and nearly every Sunday night, Bruce Springsteen would come to the club and perform with the band! In 1989, Burtnik recorded a song for the movie soundtrack of Bill & Ted's Excellent Adventure. “I was still on A&M Records at the time and they had the Bill & Ted's soundtrack... so, I was asked to cover Tom Cochrane’s "Not So Far Away" for the film." However, as the philosophy of A&M began to change, Glen decided to move on from the label when someone had come calling. That would be Dennis DeYoung, longtime front man of the legendary band Styx. Styx guitarist Tommy Shaw had elected to record and tour with Damn Yankees and Styx was looking for an additional songwriter and second guitarist. DeYoung contacted Burtnik about the gig, Glen flew to Chicago to audition and got the gig after one rehearsal with DeYoung and Styx members James “JY” Young and the Panozzo brothers. After the Styx tour concluded and it became apparent the A&M wasn’t enthused about continuing to promote the band, Glen got together with 60 of his closest, local friends to record the album Slaves of New Brunswick, a collection of songs about the New Jersey city. Burtnik was now concentrating on his songwriting more than ever. Burtnik’s songwriting continued to blossom and in 1992, Glen co-wrote “Sometimes Love Just Ain’t Enough” with Patty Smyth of Scandal. Smyth recorded the track with Don Henley of Eagles fame and the song went to number one on the Billboard pop charts! Over the next couple years, Burtnik continued to write songs for other artists, including co-writing a song (with Stan Meissner) that would be recorded in 1993 by Benjamin Orr, the late co-lead singer and bassist of The Cars, called "River of Fire." In fact, River of Fire was the working title of Orr's second solo album, which unfortunately never came to fruition. "I honestly cannot recall how Ben was originally exposed to 'River of Fire.' I only heard one early demo of the song, and I remember that some of the lyrics had been changed but I didn't care, I was just thrilled that Ben Orr was singing one of my songs! I did meet Ben years later when I was with Styx and his Big People band was touring with us. I had a couple opportunities to have a conversation with him and it was a big deal for me because I always thought Ben was very cool." In 1996, Glen released a solo album on Deko Records titled Palookaville, a collection of songs that the artist describes as “his favorite solo work thus far.” Despite garnering critical acclaim, the release was not marketed nationally. That same year the German record company, MTM Records, released a collection of Burtnik’s previously recorded solo music (including unreleased songs rejected by A&M) called Retrospectacle. While working on a new solo release in 1999, Glen got a call from old friend, James “JY” Young of Styx, asking if he would like to tour with the current Styx lineup of Young, Tommy Shaw, Todd Sucherman and Lawrence Gowan. 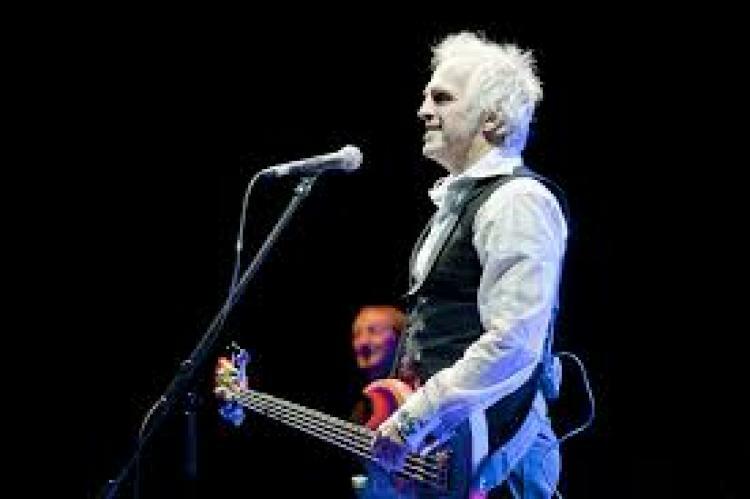 The band did hundred’s of shows around the world, released a double-live CD with REO Speedwagon titled Arch Allies and in 2003, released a new studio album titled Cyclorama which featured Glen on lead and backing vocals, bass and 12-string acoustic guitar. Over the last decade, Glen Burtnik has continued to stay very busy and having fun; he released solo albums in 2004 and 2005 with Welcome to Hollywood and Solo (You Can Hardly Hear), and in 2006, played selected shows with Dennis DeYoung to promote his solo CD One Hundred Years From Now. In 2007, Glen produced a 40th anniversary concert performance of the Beatles’ Sgt. Peppers Lonely Hearts Club Band and one for the White Album in 2008, and of course, continues his annual Xmas Xtravaganza charity event. Today, Glen continues to make annual appearances at The Fest For Beatles Fans conventions in New York, Chicago and Las Vegas, as well as appearances with The Fab Faux and a number of other Beatles-related acts. To learn more about the music talents of Glen Burtnik, please visit his Facdebook page. Updated Editor's Note: We believe it is time for SRO to re-connect with Glen and find out what music-fun he is currently up to... stay tuned!